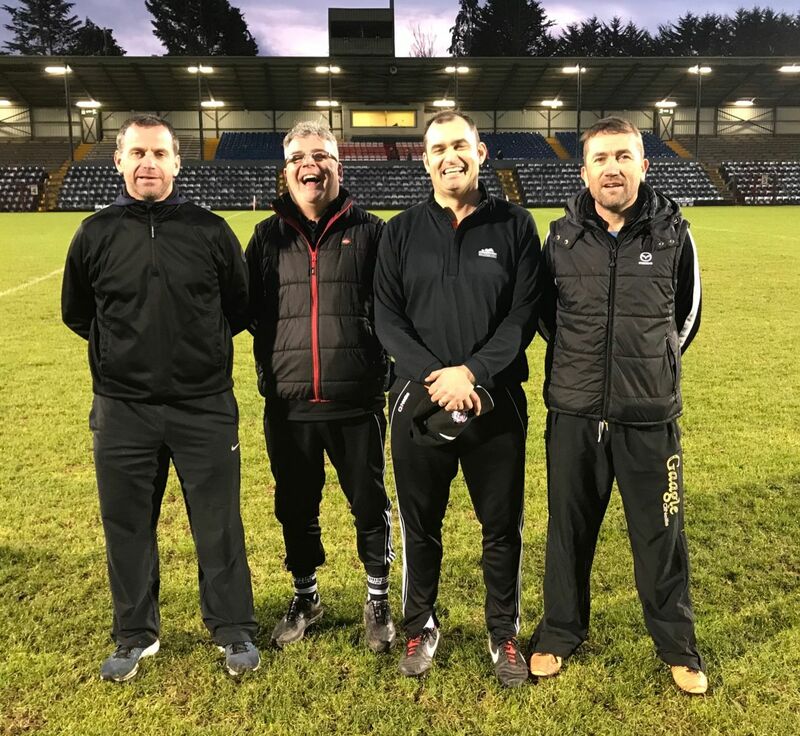 Talk about the proverbial game of two halves, last Saturday afternoon we defeated Douglas by the narrowest of margins 1-18 to 1-17 in the Premier 1 County Championship semi final in Pairc Ui Rinn. Having been second best for most of the first half we trailed at the break by 1-12 to 0-09 and things did not look good for us. However straight from the restart we took the initiative and quickly clawed ourselves back in to the game and when Garan Manley scored a screamer of a goal we were back level ten minutes in to the half. Our defence put up the shutters and drove us forward, it was point for point with the lead changing hands several times. With the sides level and four minutes of additional time announced it looked like extra time was looming only for Ross O’Regan to score a peach of a point from the covered stand side of the field. In the seventh minute of injury time Douglas had one last chance which after some deliberation between all the officials was adjudged to be wide. We won the puckout and worked the ball very well to the far end of the field and finally to all our delight the referee sounded the whistle to bring a pulsating game to an end. Team: Alan Power, Adam Daly, Sean O’Sullivan, Seanaidh Smyth, Sean O’Meara, Sean O’Leary Hayes, Cathal Gunning, Tommy O’Connell (0-06 frees), Kevin Finn, Cormac Beausang (0-04, 1 free), Ross O’Regan (0-02), Kian Farmer (0-04), Shane Finn, Garan Manley (1-01, 1 free) & Aaron Mulcahy (0-01). Sub used Christian Murphy, not used Padraig O’ Brien, Cormac O’Brien, Mark Daly, Conor Evans, Cian Crowley, Gary Carroll, Christopher Power, Eoghan Collins, Tim O’Sullivan, Conor O’Farrell, Dan O’Sullivan & Ryan O’Riordan. Referee Alan O’Connor of Ballygarvan. Best wishes to Eoin Moloney who in his recovery from a hand injury received recently. Well done to all the players and management and best wishes ahead of the final next Sunday against Fr O’Neills who were very impressive winners over Blackrock. We last contested the Minor, Fe21 and Senior Hurling County finals in 1987 playing Na Piarsaigh in all three; we won the Minor in Kilworth, lost the Fe21 in Cobh and won the Senior in the Pairc. Last Sunday evening our Junior C hurlers contested the East Cork Junior C Championship final against Carraig na bhFearr in Cobh. After a very even first half we trailed by the minimum 0-05 to 0-04 and try as hard as we could in the second half we just could not close the deficit and they ran out winners by 0-14 to 0-09. Well done to all the players and management for their great efforts throughout the year, it was a tremendous achievement for our fourth team to get to the final and to have twenty four players togged out. Team: Brian Behan, Robbie Barry, Eoin Ferriter, Conor O'Farrell, Mark Daly, Peter Smith, Ronan Lynch, Fergus Wade, Luke Smith, Christopher Power, Aenghus Cotter, Andrew Rea, Willie O’Brien, Oisin Cotter & Christian Daly. Subs David O’Brien, Jake Shanahan, Patrick Dunlea, Shane Goulding, Eoghan Collins, Declan Mc Inerney, Aidan Moloney, Sean O’Sullivan & Coleman Quinn. On Monday evening next in Riverstown we take on our hosts Sars in the final of the Premier 1 Hurling League @ 7.30pm. Best wishes to all the players and management. Pride of place this week goes to PBC who had a historic win in the Munster Colleges Fe16 ½ against Borrisokane of Tipperary, Charlie Walsh played at half back on a team that contested a hurling final for the first time in 95 years. Congrats also to our club players with Midleton CBS Fe16 team who recently defeated Coláiste na Trinoide Youghal in the Cork Colleges semi final and will now meet North Monastery in the final. Our AGM will take place on Tuesday next the 4th of December at 8pm in the Gaa Club, all members and intending members are welcome to attend. There was great news on Thursday last when we heard that Hurling has been inscribed on the UNESCO Representative List of the Intangible Cultural Heritage of Humanity. At a meeting of the UNESCO Intergovernmental Committee for the Safeguarding of the Intangible Cultural Heritage in Mauritius, Ireland’s nomination of Hurling was approved, thereby achieving international recognition of hurling as a key element of Ireland’s living heritage to be safeguarded for future generations. Hurling, which is used to denote the entire game, including camogie, as played by men, women and children, is Ireland's second inscription on the Representative List. Ireland's first nomination, Uilleann Piping, was officially inscribed last year. The submission for this inscription was led by the Department of Culture, Heritage and the Gaeltacht in partnership with the GAA and the Camogie Association. The UNESCO Representative List is intended to promote visibility, awareness and diversity in cultural heritage internationally. The inscription of Hurling is a wonderful opportunity to share a cherished aspect of Irish culture with others. Only last month, in support of this campaign for inscription our own John Fenton attended a celebration of the culture and tradition of hurling at the Irish Embassy in Paris along with Pat Daly (GAA), Louise Conlon (Camogie Association) Aidan O Sullivan, Claire Cave & Paul Rouse (UCD), Daniel McCarthy (Club Representatives) & Josepha Madigan, TD, Minister for Culture, Heritage and the Gaeltacht. We played our last game of the season last Saturday morning v Erin’s Own in Castle Road. 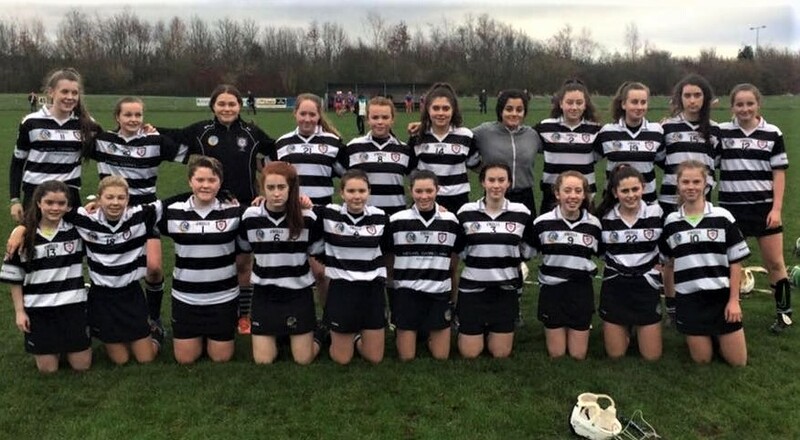 Conditions were heavy under foot similar to the County Final which was played also against Erin’s Own three weeks previous when we came away with the U14 County League title. The Autumn league was introduced this year to give teams extra matches, especially those who did not progress out of the League group stages and those who bowed out early in the championship. Both scenarios did not apply to us as we reached the League Final and Championship semi-final which meant we played matches up to the start of November. In the first ten minutes of the match we had all the possession with all the play in our forward line but Erin’s Own put up a strong defence and we could only manage a point from play before the ball went down the other side of the pitch and a great finish by the Erin’s Own full forward put the ball in the top corner of our net. From then on possession was even between both teams and we scored another point from play & again from a free while Erins Own scored another goal just before half time to make it 0-3 v 2-0 at the half time break. We again started the second half with the majority of the possession and scored two goals in quick succession. Erin’s Own went on to score another two points from play and two from frees while we scored a point from play leaving the score at full time at a draw which again was the same outcome on the League County Final three weeks previous! We scored a point from a 45 and another from play in injury time to put us two points ahead but Erins Own never gave up and almost six minutes into injury time they drove the ball down the pitch and a strike which looked like it was going over the bar just dropped short and even-though our goalkeeper got a touch to the ball it wasn’t enough to stop it from dropping into the net putting Erin’s Own ahead by a point. With the next puck out the final whistle was blown and it was a reverse of the previous County final result where Erin’s Own came away winning by a point in injury time. This was an exciting game from start to finish with nothing between the teams. On this occasion we didn’t come out on top but these girls have had a great season only losing by the narrowest of margins on this occasion. Thank you to all the supporters on the day and to the parents for their support throughout the year. Thanks to the girls for their commitment and a great year of Camogie! Panel: Jill Connuaghton, Tori Buckley, Mia Tarrant, Emma Domeney, Elle McManus, Yvonne Abernethy, Aoife Fitzgerald, Emma O’Sullivan, Emily Lamb (2-00), Holly Duggan, Abbie Foley (0-03), Saoirse Twomey (0-01), Rachel Mc Sweeney, Ellie Collins, Chloe Garde (0-02), Laura Goulding, Lora Dineen, Ella Murphy, Anna Sheehan, Rebecca Crowley & Rachel Ryan. On Wednesday evening our Club held its Annual AGM, many thanks to those who came and supported it on the night. Each officer and coach had the opportunity to go through the year and give their opinion on how they felt the Club had done. Our teams had great success on the pitch and this is a reflection of the dedicated coaches and players we are very fortunate to have. Our U10's won the East Cork League Final, our U12's won the East Cork League and reached the semi final of the Championship, our U16's are in the final of the East Cork League and this match has still to be fixed!.Our Minors reached the final of the East Cork League but lost out to Youghal and reached the Cork County Championship 1/4 Final but were beaten by Bishopstown. Treasurer - Carol Franklin, PRO - Tracy Saunderson, Registrar - Amy Quirke, County Board Delegate - Deirdre Kenny & Child Welfare Officer - Ber Kelly. We would like to thank all the parents who were a great support on and off the pitch this year. More importantly a huge thank you to our players. The dedication they show at training and the support they give each other is fantastic to see. Winning is great but the friendship that is made is the real winner. We are now taking a well deserved break from training. We hope to see you all in the New Year. All parents will be contacted with regard to training times when we have venues and training times organised. On Friday night we held our end of year Social. 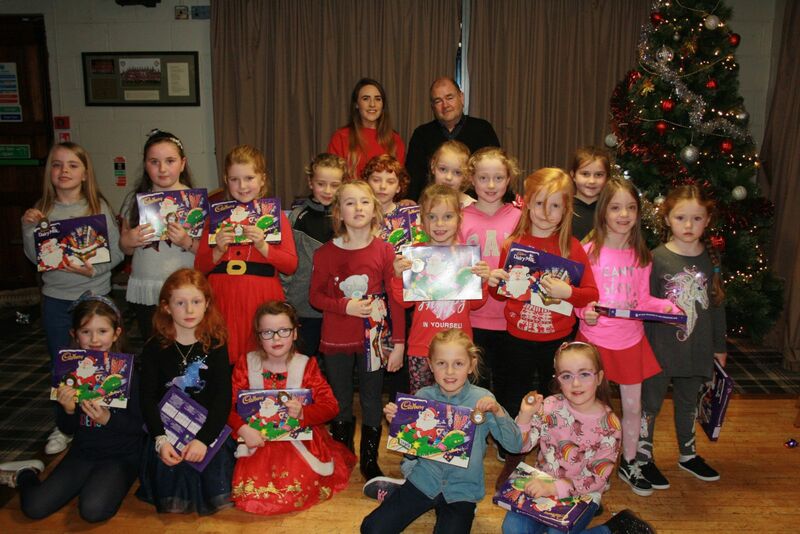 Many thanks to Orlagh Farmer who gave out medals and selection boxes to the girls. A great night was had by all and again thank you to everyone who supported it. Thank You also to Pat O Brien and Doris at the Club for your help on the night. Our U16 Girls are still awaiting the fixture of the East Cork U16 Final. We will post the details on our Facebook and Twitter pages when we receive them. It would be great to see these girls get as much support as possible. They returned to training in January and are still in action nearly 11 months later. Best of luck to you all. Midleton GAA, Ladies Football and Camogie Club will again this year hold a Christmas food appeal. We are asking our members to support this very worthy cause by donating NON PERISHABLE food items which can be dropped to the club at any of the below collection times. All donations will be given to St Vincent de Paul for distribution to local families in need of help for Christmas. All support appreciated. For any further information contact Ingrid on 087 6374748 or Sheila @ 087 6822916. Collections times: Sat December 8th / Sat December 15th at the club shop from 10am to 11.30am or at any of the club end of year socials: Juvenile: December 8th 6-9pm. This outing was very kindly sponsored by Robbie Fitzgerald. Golfer of the year for 2018 was won by Michael Crotty. This was kindly sponsored by Ken Murray. The society committee would like to thank our sponsors and members for your support and participation throughout the year. We look forward to seeing you all back again in 2019 and hope you have a very happy Christmas and New Year. Tickets are on sale at the Club Bar, O‘Neills Bar, Linehan’s Bar, Maple Leaf Bar, O’ Farrell’s Butchers, Frank Murphy Butchers, Pat Walsh Paints, Chadwicks, Teach Beag, Niall Mac’s Bar & Wallis’s Bar. Our Online Lotto is now available, logon to the Club homepage www.midletongaa.com to purchase your ticket. BINGO – Every Friday at 8pm, everyone welcome, great prizes on offer this week. Sheet values, Green €460, Blue €500, Pink €790. 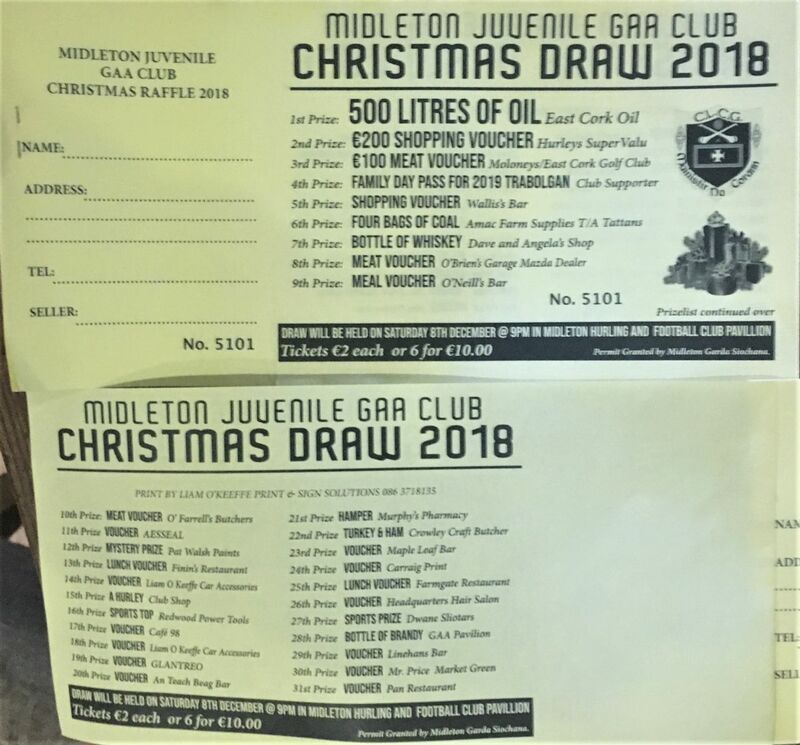 It’s that time of year again and we are looking for support for our Christmas Draw which is a vital fundraiser for the juvenile Club. Team Managers have provided tickets to all players. Additional tickets can be purchased from the Club bar or by contacting team managers or Juvenile committee members. We would like to extend our sincere thanks to all our prize sponsors and ask all our club members to support these businesses. The draw will take place in the club Lounge at 9pm on Saturday December 8th. All are club members and supporters are welcome to attend. Prize winners, if not in attendance on the night will be notified by text. Prizes can be collected from the Club Shop on Saturday December 15th. The Shop opening hours for Christmas are as follows: Saturday Dec 8th 10am to 11-30am, Saturday Dec 15th 10am to 11-30am and Wednesday Dec 19th from 6pm to 8pm. Thanks for all your support over the course of the year and we wish all our customers a Happy Christmas and a prosperous New Year.